Summer sports venues, such as golf courses, tennis courts, and swimming pools, have long been the odd man out at holiday time. Let’s face it, not too many people think about giving gifts for summer sports for winter holiday gifts. Yet for summer sports enthusiasts, nothing could be a better gift than free passes to their favorite summer haunt. Combine that with custom printed apparel that they can wear during the winter to remind themselves that their summer fun is just around the bend, and you just might have chosen to create the most popular gift that the person will receive this holiday. Have you ever thought about creating promotional wear to promote your summer venue during the off-season? A hoodie, for instance, with your logo—and perhaps a slogan such as “Summer’s Coming,” “Think Warm,” or something similar—will help the recipient who receives such apparel as a gift to look forward to spending the coming summer days at your venue. With tickets added to the gift package, the recipient will be sure to spend her or his days at your venue—and not your competitor’s. Swimming or golf passes may not be foremost on holiday gift givers’ minds, but if you promote them to your regular customers, they just might end up on their holiday wish lists. Combine them in packages with promotional apparel that can be worn in the winter and spring, and you will create a desire for everyone who sees your “walking billboard” to come to your venue when the long winter ends. A hoodie with your logo on it can be worn year-round—as a cover-up at the beach or during cool nights to keep your brand in front of potential customers all year long. Promotional t-shirts can also be worn to create year round good vibes about your brand among the locals. Recipients who receive a package with t-shirts or hoodies included with their gift passes to your venue will walk around all winter and spring long with the smile of anticipation on their face. 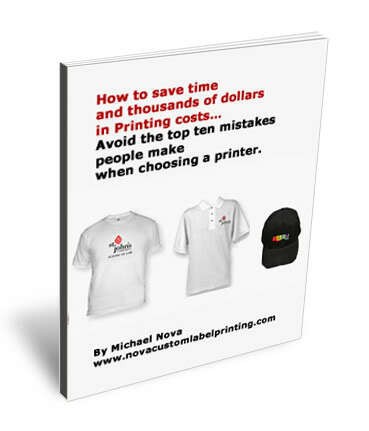 Lessons, too, can be combined with promotional merchandise for a great holiday gift. Most summer sport enthusiasts are eager to learn how to become more efficient at their chosen sports. Again, if you combine these in a package with custom printed T-shirts and apparel, you will have an enthusiastic salesperson walking the streets of her or his home town with your logo imprinted on their clothing and a smile on their face. Better yet, if you have created an appealing gift package, your recipient’s loved one has just plunked down her or his money to advertise and promote your brand! You have not had to spend a dime, yet you have created the best of all ads—name recognition combined with word-of-mouth on the part of the recipient. With a little creativity on your part, your summer venue just might get its share of the holiday gift-giving pie.